The new 500 Vario. Your ideal perspective. The 4-cylinder tractor series, ranging from 125 - 165 hp, features the well-known Fendt operating interface and the VisioPlus cab with numerous updates. Besides compliance with the legal emissions standard Tier 4 Final, AGCO/Fendt has designed its 500 Vario tractor range for still more efficiency and equipped it with more optional features adopted from the high-horsepower tractors, such as the new VarioGuide guidance system, the full glass front terminal, the 1000E PTO, a 300° front wiper, LED work lights, optional immobiliser and a flange or stub axle, to name a few. With the new Fendt 500 Vario series tractors, AGCO/Fendt offers tractors that comply with the European emissions standard Stage 4 / Tier 4 Final. Analogous to the well-known technology found in the 700 - 900 Vario high-horsepower tractors, Fendt now also uses electronically-controlled exhaust gas recirculation (EGR) with map-controlled AdBlue injection and an auxiliary engine oil heat exchanger in the 500 Vario. With this technology package, AdBlue consumption can by reduced by up to 50 percent compared to the previous model, based on past experience. The 4.04 l four-cylinder Deutz engine with common rail injection and the tried and tested Fendt SCR technology offer an efficient, fuel-saving solution in combination with the coated soot filter (CSF), where passive regeneration is possible without requiring additional fuel injection into the exhaust line. 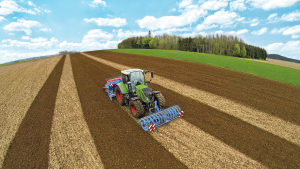 In the ProfiPlus variant of the new Fendt 500 Vario series, AGCO/Fendt now offers the new VarioGuide guidance system, which has only been available in high-horsepower tractors until now. With the new VarioGuide, customers can choose between two different receivers to match their requirements and local circumstances. Available for the entry-level variant is the NovAtel Receiver with the correction services EGNOS/WAAS, RTK via radio or NTRIP. In addition to the well-known correction services EGNOS/WAAS, RTK via radio and NTRIP, the Trimble receiver also supports further services, such as RangePoint RTX™ and CenterPoint RTX™. The Trimble xFill™ technology provides a fill-in time of up to 20 minutes. Depending on the guidance system and correction services, VarioGuide works with an accuracy of 20 cm to 2 cm. All tractor and implement functions in one terminal – that is what the Varioterminal from Fendt stands for. The well-known Varioterminals 7-B and 10.4-B in smartphone look are now also available for the Fendt 500 Vario. They are marked by intuitive operation through the combined use of touch and key control elements. Thanks to a new bracket with ball joint, the Varioterminals can be adjusted flexibly. The terminals have a clear resolution with LED backlighting and a scratch-proof, one-piece glass surface that is easy to clean. 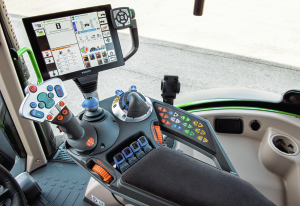 In addition to operating the basic tractor functions, the Varioterminal 7-B also can control ISOBUS-capable implements and program the VariotronicTI headland management. The 10.4-B terminal also has two camera ports, the VarioGuide guidance system, VarioDocPro documentation system and data transfer per Bluetooth, all in one device. The display in the Varioterminal 10.4-B can be shown in three different modes, according to need. It can be shown in full screen mode, as a divided screen or four individual screens. The high resolution also guarantees a clear, sharp picture in night mode. The ProfiPlus variant has the Varioterminal 10.4-B as standard specification. 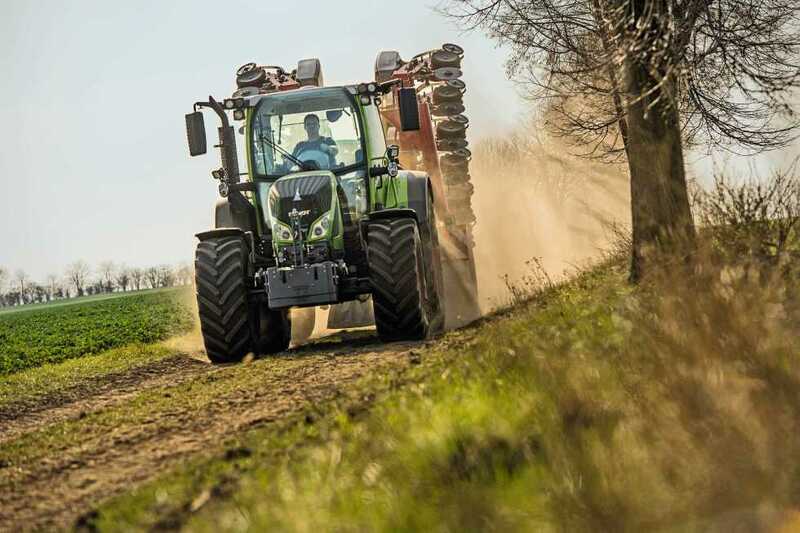 The direct power flow from the engine to the PTO means the Fendt 500 Vario transmits power especially efficiently. The optional 1000E rear PTO complements the previous line of three PTO speeds, 540, 540E and 1000 rpm, for different types of work. With the optional 1000E rear PTO, implements with a high speed requirement can be operated very fuel-efficiently and the tractor’s range of applications can be expanded. According to in-house studies, up to 7 percent fuel can be saved during PTO operations. A compact design, exceptional manoeuvrability and a broad range of equipment options distinguish the Fendt 500 Vario. Its low vehicle weight of 6.1 t and a high 4.4-t payload in combination with a rear axle load that has been increased by 1 t to 8.5 t, the tractor can manage a high load during operation with mounted implements. 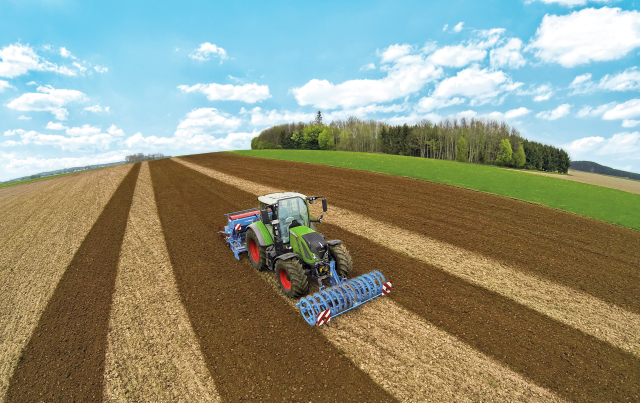 The permissible overall weight is thus 10.5 t. To comply with the requirements of international markets, the Fendt 500 Vario is available with either a flanged or a stub axle to permit the track width to be adjusted flexibly. The proprietary Fendt front loader is available from the factory in two different versions: Fendt Cargo or Fendt CargoProfi. 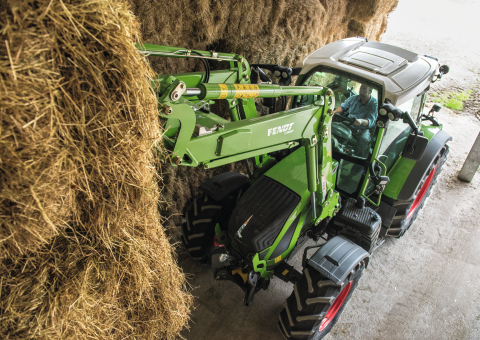 The Fendt CargoProfi also offers an integrated weighing, shake and memo function. The lifting height can also be limited, for example when driving through low entrances and passages. The well-known VisioPlus cab with the curved front window has been reworked in several areas. New is the 300 degree front wiper with an expanded wiper field, which guarantees an optimal view to the wheel arches and the front loader, even in poor weather conditions. The Profi and ProfiPlus versions have a 300 degree wiper as standard. The modern lighting concept on the Fendt 500 Vario ensures perfect visibility. LED work lights are now available as an option for effective illumination. The view to the implements and wheel arches is excellent in the dark, thanks to the crossed light beams. The LED lights, with an overall output of more than 37,000 lumens, consume very little power and have a very long life. The super comfort seat Evolution dynamic Dualmotion is now available with a genuine leather cover for the driver and passenger seats and steering wheel for the first time. The Dualmotion backrest adapts itself to drivers’ turning movements and stabilises their back. It provides comfortable, ergonomic support when looking towards the rear during work with rear-mounted implements. The seat is also available with dynamic damping, seat climate control and heating for even greater comfort. Also new is that the Fendt 500 Vario is now available with an optional electronic immobiliser. The market launch of the new Fendt 500 Vario took place in North America first, for the first time in the history of the company. On 25 August 2015, the series was presented for the first time at the AG Progress Show in Pennsylvania. On 10 February 2016 at the National Farm Machinery Show in Louisville, Kentucky, where it received the AE 50 Award from the American Society of Agricultural and Biological Engineers (ASABE). 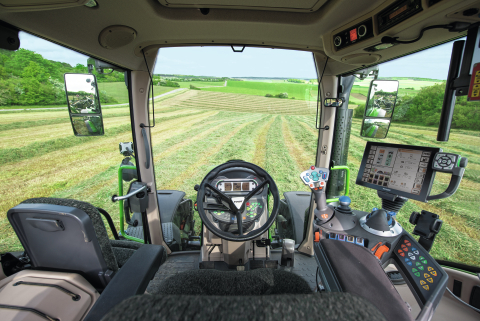 The series received the award for innovations only found in high-horsepower tractors up to now, such as the Varioterminal operating interface, the VarioGuide guidance system and the VarioDoc documentation system.